Provide comfort for the family of Rena Marsili with a meaningful gesture of sympathy. Rena J. Marsili, 97, of Peckville passed away peacefully Saturday evening January 19, 2019 at the Holy Family Residence in Scranton. She was the widow of Marsilio J. “Murph” Marsili who died on August 11, 2013. Born in Peckville she was the daughter of the late Antonio and Maria DePouli Turissini. A graduate of Blakely High School, she went on to graduate also from the Empire Secretarial School in New York City. Rena was a loving wife, mother, grandmother, sister and a wonderful friend to all, always putting other’s needs ahead of her own. Rena’s family would like to extend a heartfelt thank you to the Little Sisters of the Poor for all of their exceptional care. The compassion and dedication expressed to those entrusted in their care is truly remarkable. A special thank you to Father E. Francis Kelly and Father Eugene R. Carr for their faithful guidance in her journey home. Also, many thanks to Rena’s caregivers Carolyn, Tonya, Kim, Joanne, Deanna and Katie for their many years of care. Surviving are son Dr. Mark A. Marsili and wife Beth, daughter Attorney Maria Marsili and her husband Al Essig, all of Greenfield Twp. ; grandchildren Chris Marsili, Melissa Cole and husband Donald, and Jody Essig; great-grandchildren Brandon Essig and wife Megan, Cody Cole, Jordan Essig, and Corey Spangenberg; sisters-in-law Eleanor Tosti, Gloria and Julia Marsili; special Godchild, Lorraine Turissini several nieces and nephews. She was preceded in death by brothers Hugo, Mondo, and John Turissini. The funeral will be Thursday from Holy Family Residence, 2500 Adams Avenue with mass of Christian burial at 10:30 a m in the residence chapel. Calling hours are 4:30-7:30pm on Wednesday at the Holy Family Residence Maloney Lounge. Interment in St. Mary’s Cemetery, Montdale will be private. In lieu of flowers memorial contributions may be sent to The Little Sisters of the Poor, 2500 Adams Ave, Scranton, Pa 18509. Arrangements by are under the care and direction of the Arthur A. Albini Funeral Home 1003 Church St. Jessup. To send flowers in memory of Rena J. Marsili, please visit our Heartfelt Sympathies Store. We encourage you to share your most beloved memories of Rena here, so that the family and other loved ones can always see it. You can upload cherished photographs, or share your favorite stories, and can even comment on those shared by others. 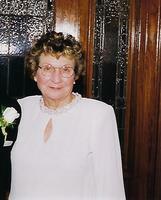 Provide comfort for the family of Rena J. Marsili by sending flowers.